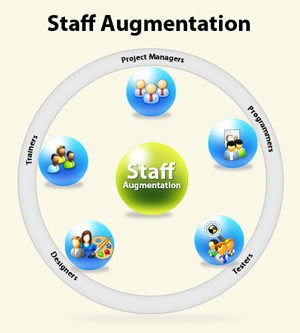 Indyzen's Staff Augmentation services help businesses harness the power of a large organization with a wide range of talent with agility and low resource allocation. Does your business face challenges with the following? With Indyzen’s staff augmentation services, you can take advantage of Indyzen’s large pool of global technical talent. You can build scalable teams in matter of days or weeks. In this competitive market, business needs competitive time to market advantages. Waiting for your recruitment team to find the skills you need in matter of months or quarters can be a suicide for that great time-sensitive idea.